Audree loves kisses. 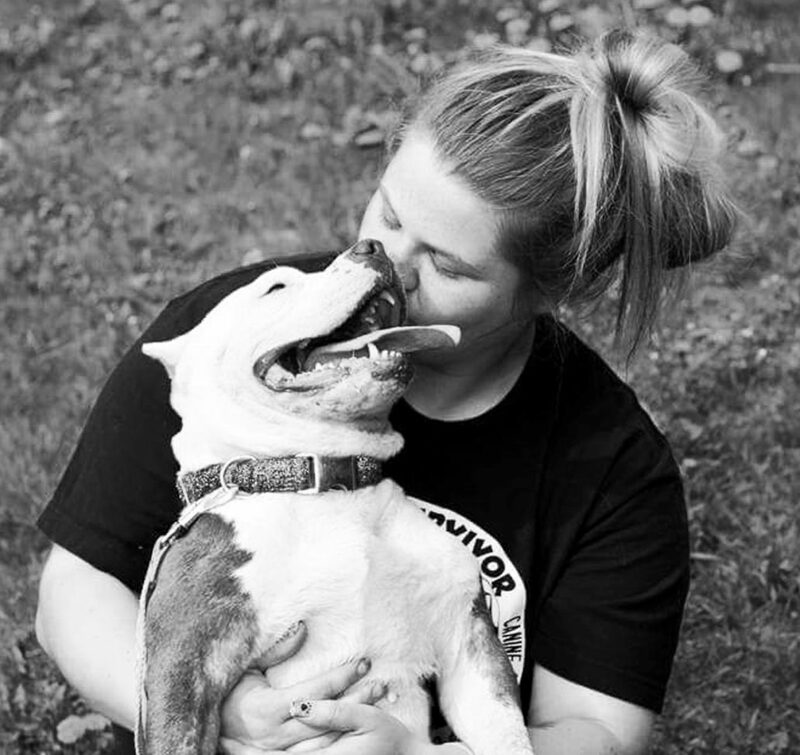 In fact, there is nothing the 4-year-old English Bulldog/Pitbull Mix seems to enjoy more than cozying up to one of her favorite humans: Jessie Neassen. 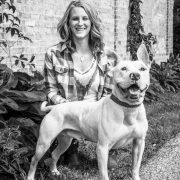 As a volunteer for Milwaukee-based 501c3 nonprofit animal rescue organization Canine Cupids, Neassen provides care and love to the area’s most neglected and abused dogs as a foster “mom”. Audree is one of the foster animals currently in her care, and when Audree wants kisses, Neassen is happy to oblige. “She just wants love and attention,” Neassen says. But when Audree was rescued by Canine Cupids 1.5 years ago, she needed much more than that. Audree’s mange resulted in swelling and inflammation and “weeping” open wounds on her skin. 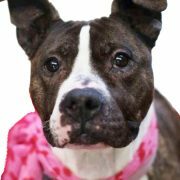 essential oils, administered many medications and coordinated all of her vet visits – anything to give Audree a chance. Neassen’s effort paid off. Within a week Audree’s condition began to slowly improve. Audree’s tale is one of betrayal and forgiveness. 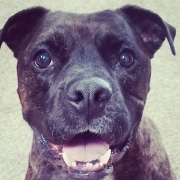 Despite suffering such neglect at the hands of her prior owners, Audree has given humans a second chance.